NECRONOMIDOL’s return visit to the UK saw the occult idol outfit bolstered with some new friends. The addition of Screaming 60s and 2& meant that we were treated to a full sweep of idol acts under the Black Winds Over Albion banner (care of the Orion Live team), something that had previously been unheard of in the UK. There had been some dramas proceeding this ambitious venture. The fact that Montero (of Screaming 60s) has a Philippines nationality – meaning that a special visa that takes several days to process – hadn’t been spotted until the last moment. As a result, Montero was unable to join the tour this time around. Rounding up the troops from their northern adventures (the tour had previously hit Manchester and Birmingham) also meant that they were running a little behind schedule for their London performance. Not that any of this phased the loyal fans at Camden’s Underworld. There was an enthusiasm in the venue that you could have probably plugged into as an alternative source of energy. 2& (Double And) had the privilege of stepping onto the stage to kick proceedings off. Originally a duo, 2& now runs as a solo effort in the capable hands of Saki. 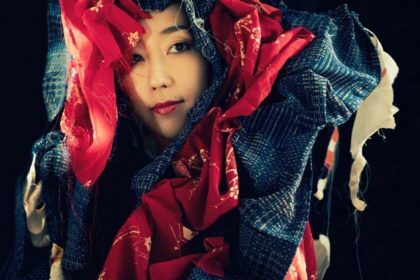 Formerly a member of Guso Drop, Saki has crafted a reputation as a hard-working artist – particularly with an extensive live schedule, which also showcases her dynamic talents for performances. 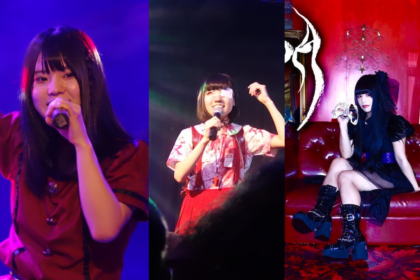 That dynamism became evident when Saki indulged in some jaw-dropping backflips on stage during her set (an impressive feat when you take into account the relatively small space that the Underground’s stage occupies). Meanwhile, Kai of Screaming 60s was also on solo duties due to the aforementioned visa mishap. But in a spirit of solidarity, Montero was staging her own solo performance in Japan at precisely the same time as Kai’s performance (which mean that she would hit the stage 4am Japanese time!). The masked visage of Kai lends an element of mystery to the performance, although there was little that is subdued about Kai on stage. 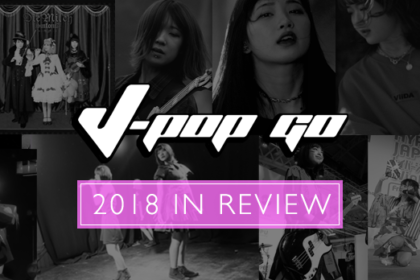 Given that Screaming 60s are essentially the idol version of their peers, Japanese punk outfit 6% IS MINE, this isn’t necessarily surprising. Kai makes good use of the stage and utilises the risers to lean into the audience at various intervals. At one point, she launches herself into the crowd who gamely carry her around – almost hilariously whacking her into a concrete pillar – before returning her to the stage to complete her set. By now, the audience is moving as one with outstretched hands and enthusiastic shouts for all of the performances so far. But things step up a gear when the main act stride onto the stage at Camden. With a full backing band giving their tunes a much more muscular presence, Necroma deliver a legendary live show which has an energy that’s rarely displayed by a lot of idol acts. Kicking off with the dramatic tones of ‘Dawnslayer’ sets the scene for a sterling live show. Songs such as ‘Strange Aeons’ and ‘Starry Wisdom’ come to life with a beefy intensity courtesy of the live band setting. Meanwhile, the various members flit back and forth across the stage in a bewildering choreography that makes you wonder how they don’t trip up over each other’s feet. Singing duties are also batted between various members, although the harmonic elements that they lend to some numbers gives the performance a wistful feel at times. A brief MC segment allows for some amusing back and forth with the various members – particularly Sari’s speech in which she insists that the entire venue sits down while she talks. However, Hina gets perhaps the biggest cheer when she announces she was born in the UK – and adds that her birthday is actually the day after the concert. 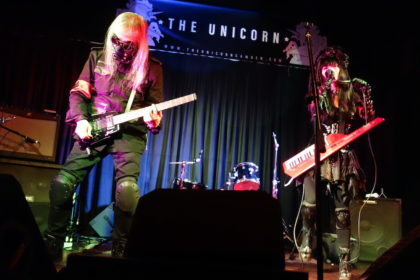 The concert continues with the set bouncing between some heavy duty numbers, such as ‘End Of Days’ to more electronic efforts, such as ‘R’Lyeh’. In fact it’s the charged melodies of ‘Skulls In The Stars’ that offers one of the most memorable moments of tonight’s performance – and also closes the set in fine style. 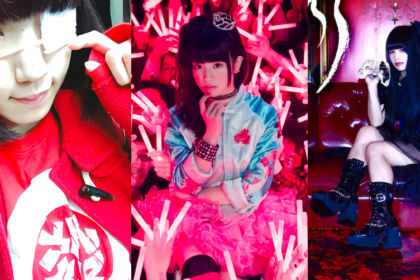 Post-gig, it’s a merch and cheki marathon as fans snap up CDs, T-Shirts and assorted items. Despite their punishing stage performances, all of the stars are ready and willing to give their time up to their fans. Offstage, it’s often surprising to see how different some artists appear. Saki, for instance, is much, much shorter than her dynamic presence on stage suggests. Elsewhere, Kai demonstrates an eye-watering ability to stretch her leg over her head during her cheki session. What the Orion Live team brought to the UK for the Black Winds Over Albion tour can’t be underestimated. It was not only a big (and risky) undertaking, but the results proved that there’s an audience for idol acts. 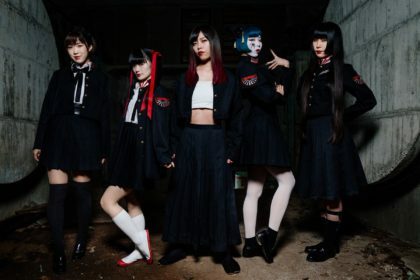 Necronomidol themselves appear to be building a formidable reputation as an underground idol outfit and it seems inevitable that a return trip to the UK in the future is a must.